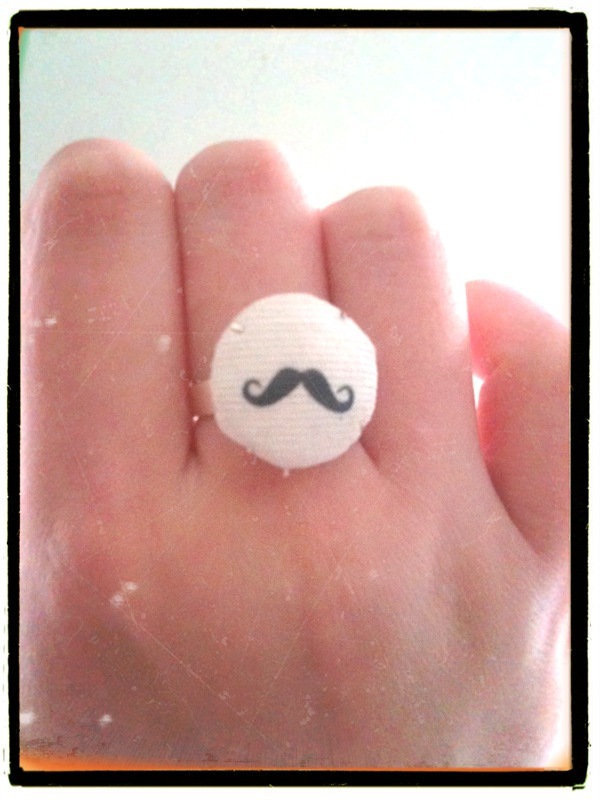 Remember this ring I blogged about a while ago? I told you I’d post about how I made it. Well, it’s been a while but here it is. 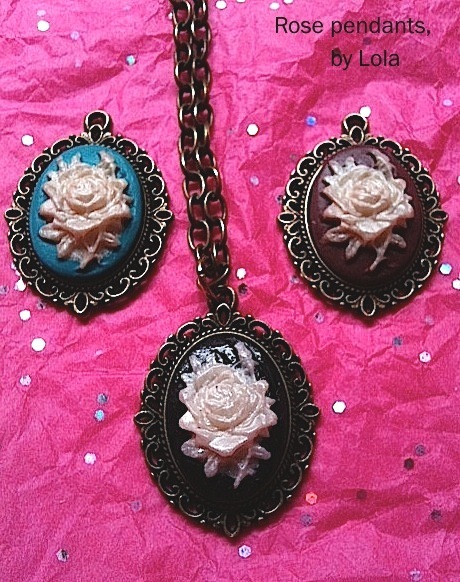 Making these fabric jewellery pieces feels a little bit like magic. You can use any image you like so long as its laser printed onto paper. 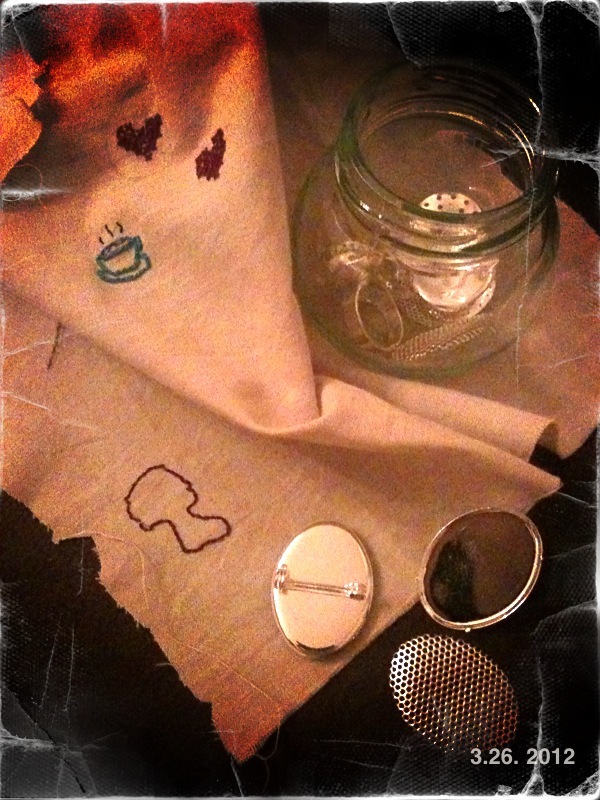 The best bit is that the process can be used for all sorts of projects so you can create customised fabric either to frame or use for your next sewing project. Because of the process involved, the fabric ends up a little like waxed fabric, which means it’s great for items that need to be wiped clean like table runners or make-up bags. Using a laser jet printer, print your chosen image onto paper. Make sure that the image is slightly smaller than the findings (see above). I chose circular findings for the ring and larger oval findings for the brooch but you will find lots to choose from at craft or jewellery stores, or online. Paint the printed image generously with gel medium and lay it face down on a scrap of fabric. Pat down to get out any air bubbles or creases. 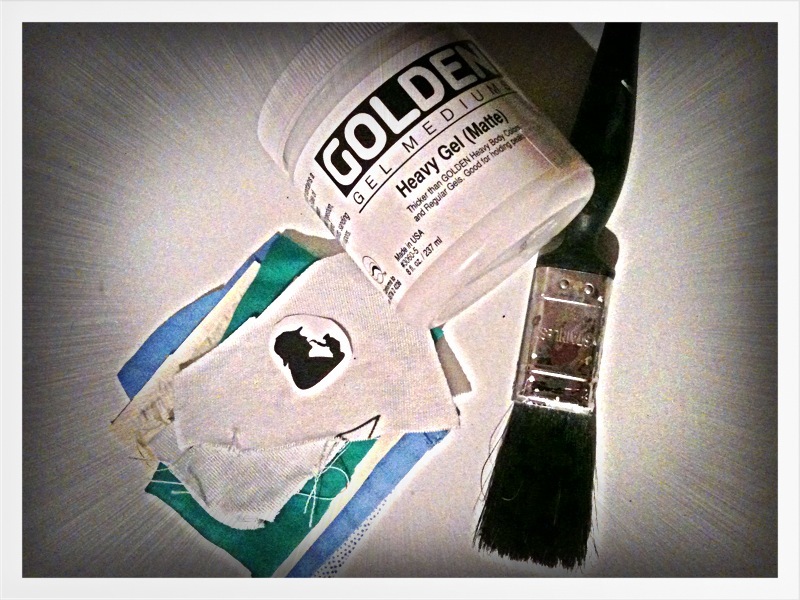 (Make sure to wash your brush quickly or the gel medium will dry and be hard to get off.) Hang the fabric pieces up to dry for 24 hours. Once they are fully dry, wet the paper and carefully peel it off the fabric. The best way to do this is to rub it with you fingertips but be gentle around the edges as the gel, not just the paper, may start to lift. As you remove the paper you will see your image imprinted on the hard layer of gel. Make sure all the paper is off. As the paper is wet it may be hard to see and you might find that once your fabric is dry there is still a little paper left. If so, repeat the process. Once all the paper is off, hang your fabric to dry. Once dry, paint it with another layer of gel medium – this time thin – and hang to dry again. Now that you have your bespoke fabric, it’s time to make the jewellery. Simply stretch the fabric over the disc section of the jewellery finding making sure that the image is well centered. Trim any excess fabric and secure at the back with a few stitches. You will find that the gel has made the fabric stiff, which may create corners instead of smooth edges. Add a few stitches here to smooth these out. 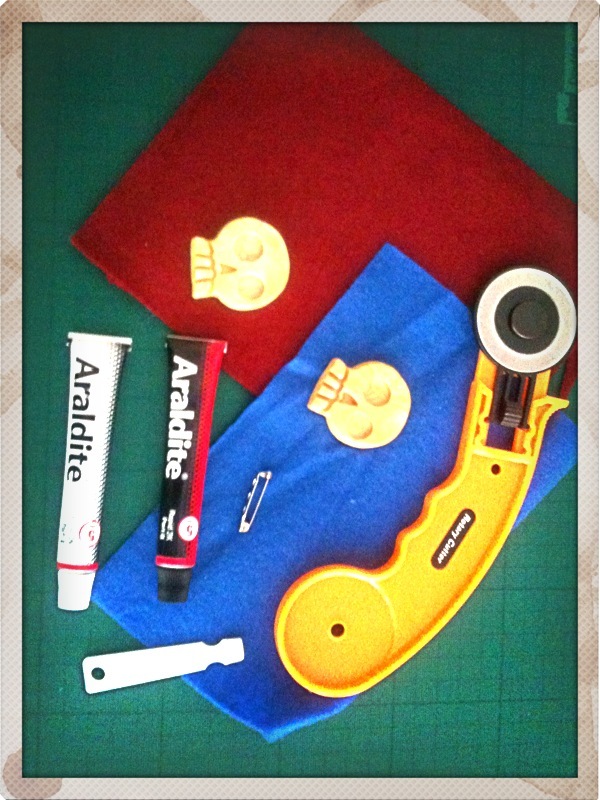 Next, pop the disc onto the back piece of the finding (the ring or brooch base) and press the teeth down with pliers. 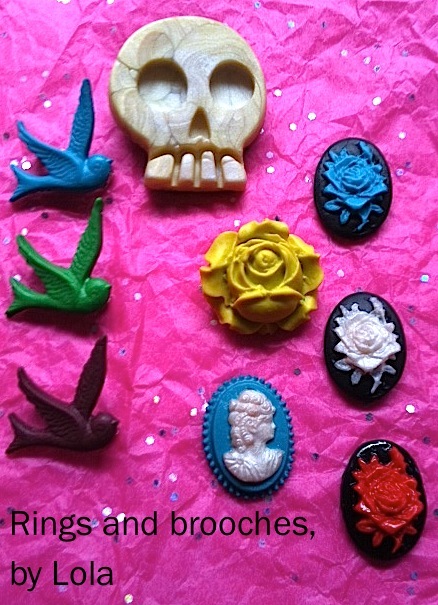 Enjoy your new jewellery! 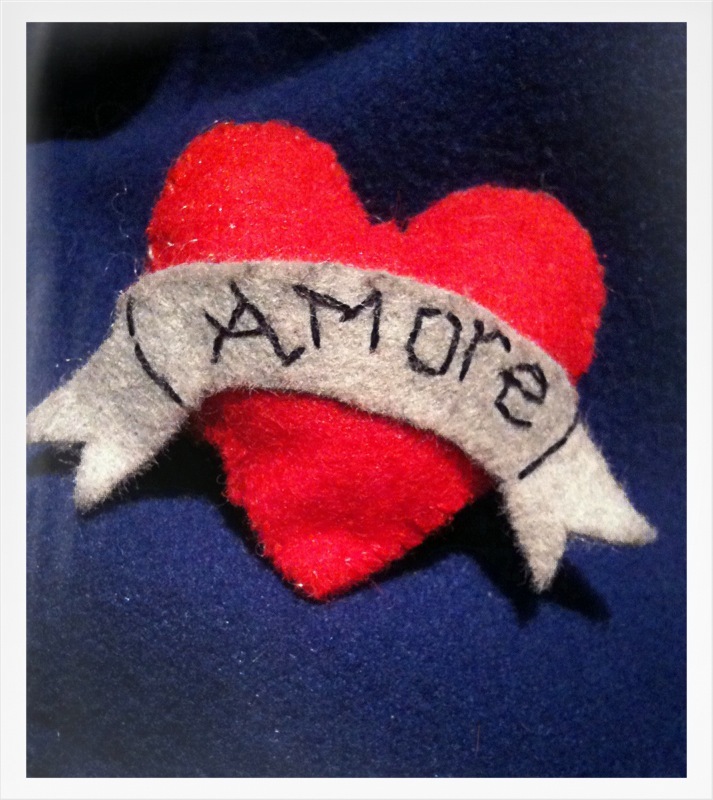 I made this heart-felt brooch (a heart made of felt – get it? I know, ouch!) 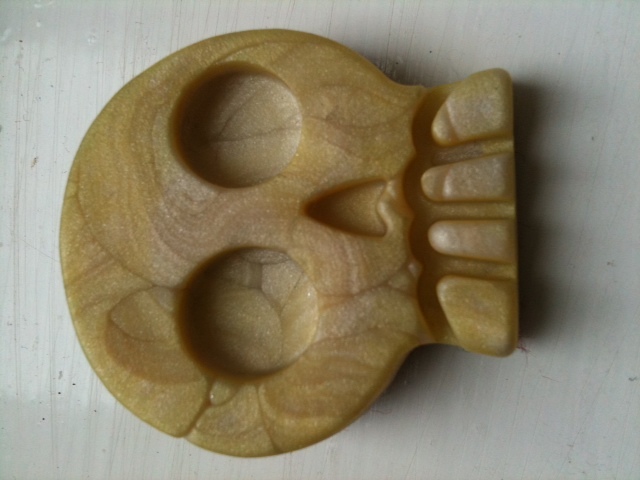 in no time at all using scraps of old felt… So I then made a sugar skull one too! First up, pick your design. I chose these just because I liked them but the options are limitless. A vintage tea cup and saucer? A pug? A record? 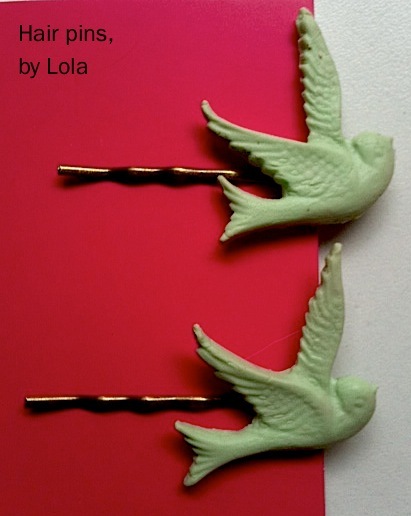 Draw your design on to felt using a pencil with a fine point. I find retractable pencils are best for this. You will need two matching sides for the front and back plus any extra bits for detailing the front. You may wish to use an image from the Internet as a guide or template, or you may want to go freehand. 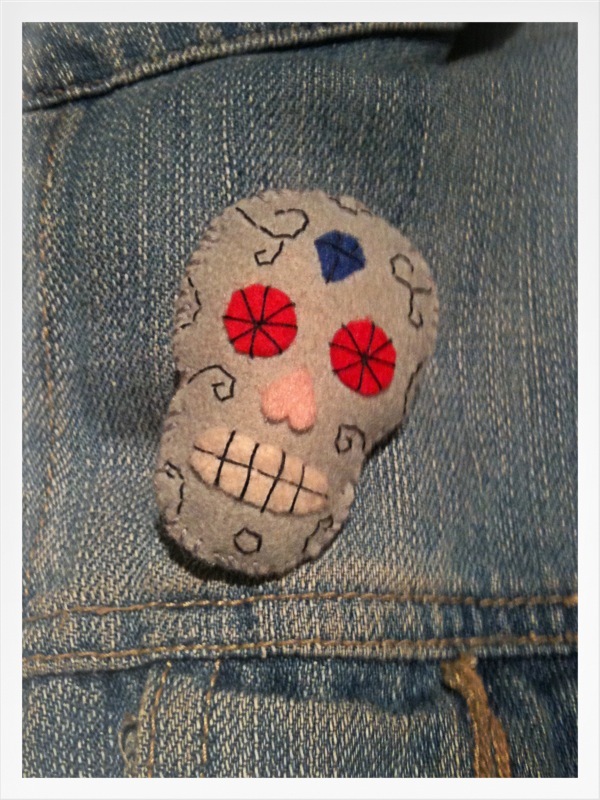 I used contrasting felt for the details on the sugar skull brooch, some I embroidered, others I simply glued on. For the heart, I embroidered a message into the ribbon and glued that on. Then it’s simply a matter of sewing the front and back together (I used blanket stitch for this), stuffing with some padding just before you close up, then sewing your brooch clasp to the back. It may seem a little strange to make a cameo of a cat but it’s in honour of my real-life cat, Dee (named after Dee Dee Ramone), who I miss a lot when I’m away. 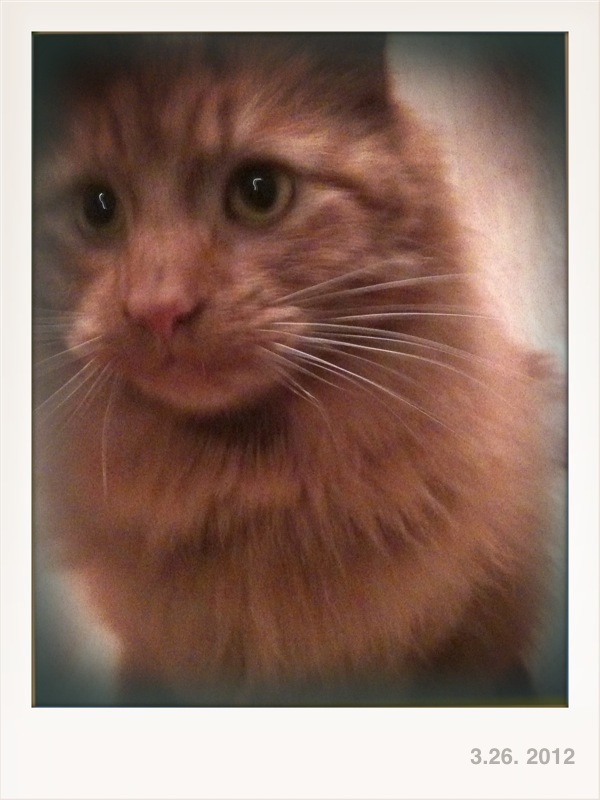 Now I’ve made my cat cameo though, I’ve already started a few others as you’ll see later. 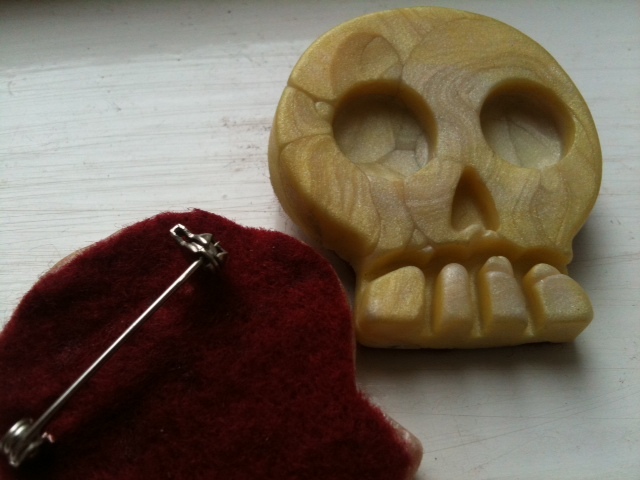 Here’s a picture of my cute kit and another of the brooch. I haven’t quite captured him (he’s far pouffier with all his long fluff) but it’s enough to serve as a reminder. 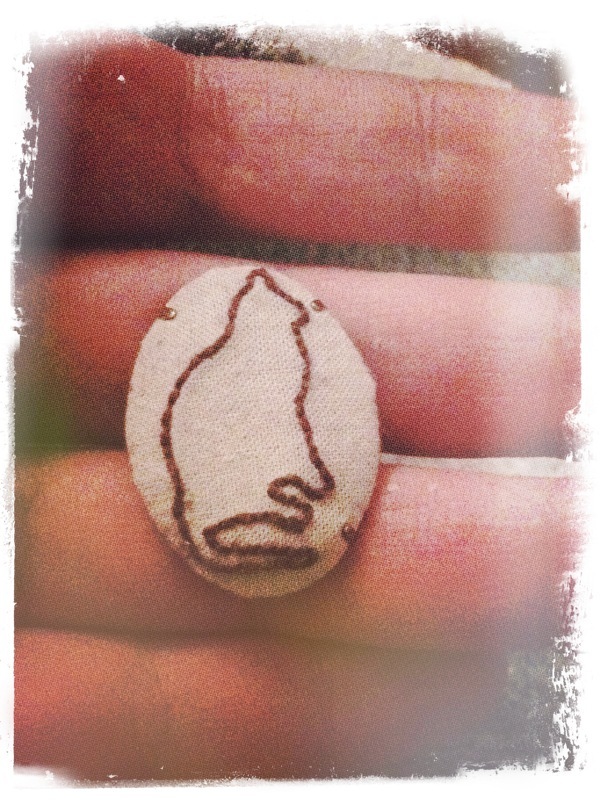 I printed a basic cat image from the Internet making sure it was small enough for the brooch. 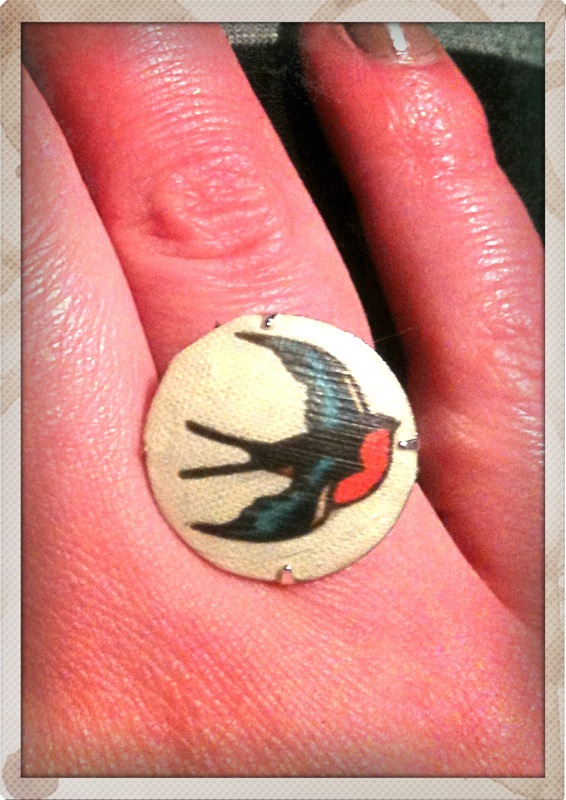 I then cut round it and used it as a template to mark my fabric. 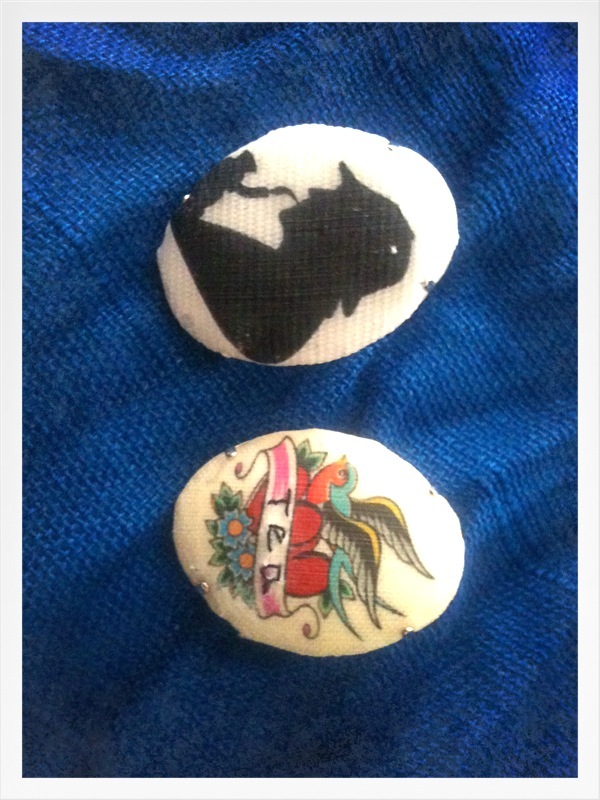 I used a retractable pencil with a fine point to mark the fabric as the detail was too intricate to use chalk. I then placed the fabric in the embroidery hoop, sewed round the pencil markings with a simple back stitch and secured the ends. I cut the fabric, wrapped it round the front plate of the brooch fitting and sewed it in place with a few stitches at the back making sure there were no folds at the corners. 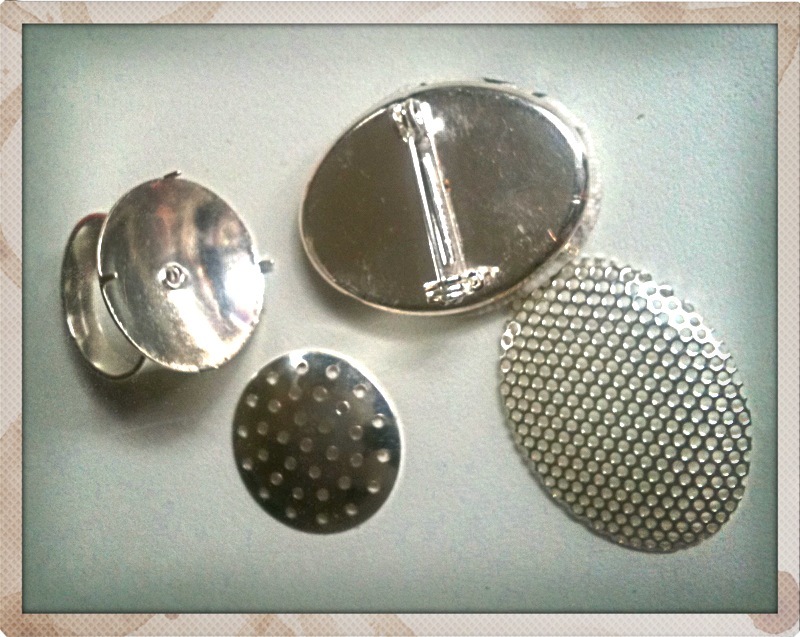 You can pick brooch settings like this up easily on the Internet, I got five for about £3 from eBay. I then popped the front plate in place over the back setting and pushed down the teeth using closed scissors. Easy peasy. 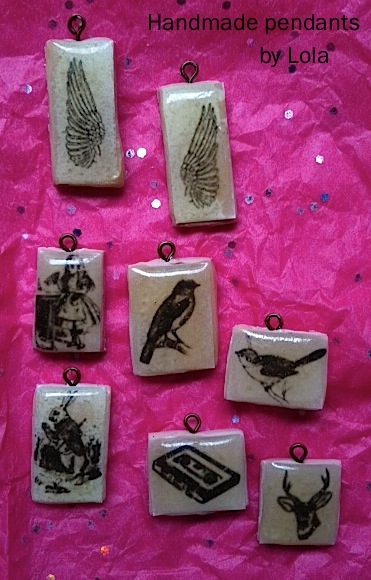 I’ve already sewn a traditional cameo lady and a few other ideas in case I fancy doing more. I think it would be a nice thing to pop in homemade crackers at Christmas time or in with a letter to a friend – it’s always a treat to get snail mail that isn’t a bill nowadays!